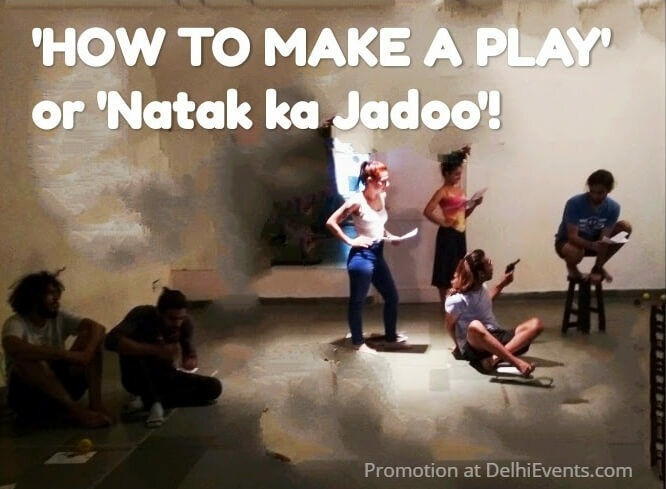 Event Description : THEATRE : Barefoot Theatre presents "How to Make a Play' or 'Natak Ka Jadoo!' Hinglish Play. A group of theatre practitioners get together to explain the intricacies of what goes into creating a play, and while doing so come to some interesting conclusions. A note on the process: This is a unique production in that it is TRULY an ensemble-built show, with the entire group collectively taking on the responsibility of putting the performance together in terms of design, direction, production, people-management, scripting and more. There is no hierarchy, no one leader or even leaders - only the collective will to make it happen. Truly, the magic of theatre!